On August 23rd 2013, I had published a post about the “@Diversity project” which is an initiative funded by the European Union. 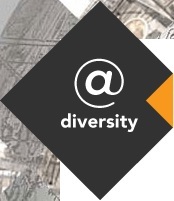 The @diversity Idea Competition was launched in May 2013 and inspired more than 660 individuals and institutions from all EU Member States to get involved. More than 250 ideas were put forward for this first competition. Posted on November 8, 2013, in News from organisations and tagged #CulEnt, Deaf Magazine, Diversity, European Commission, HE/DE, museofabber.com, Narrated Film Downloads, Poetrycloud, ReWalk Europe, SmartArt, SonicPaintings, StoryGuides, Tavelling Hospitals, Yugo. Bookmark the permalink. Leave a comment.